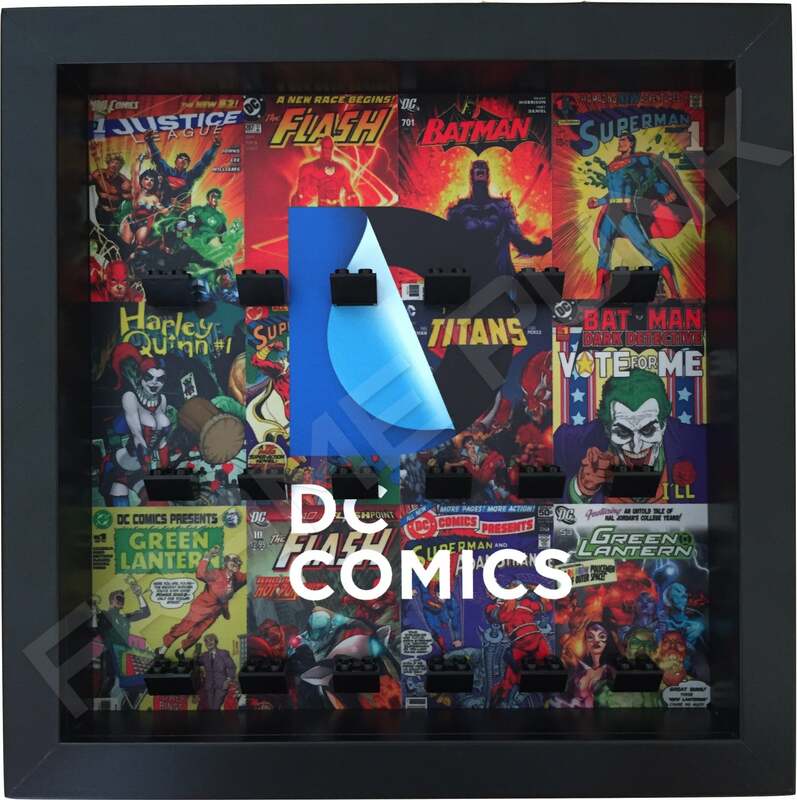 • Extra deep frame with removable front panel: Black. 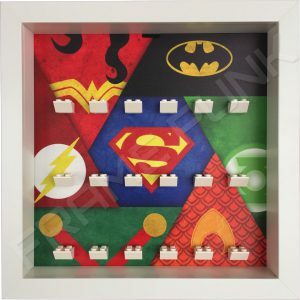 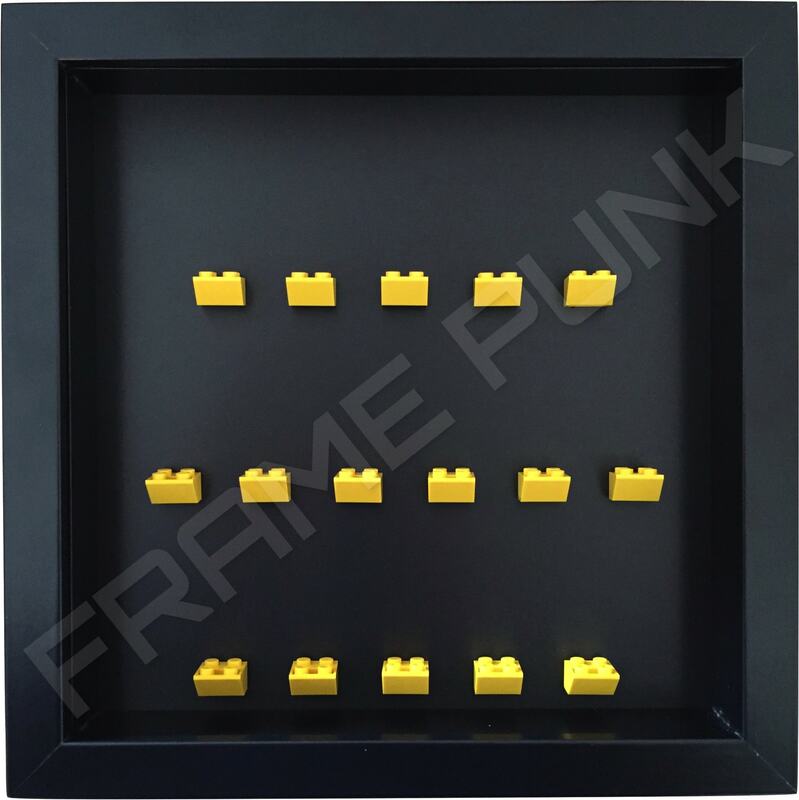 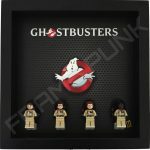 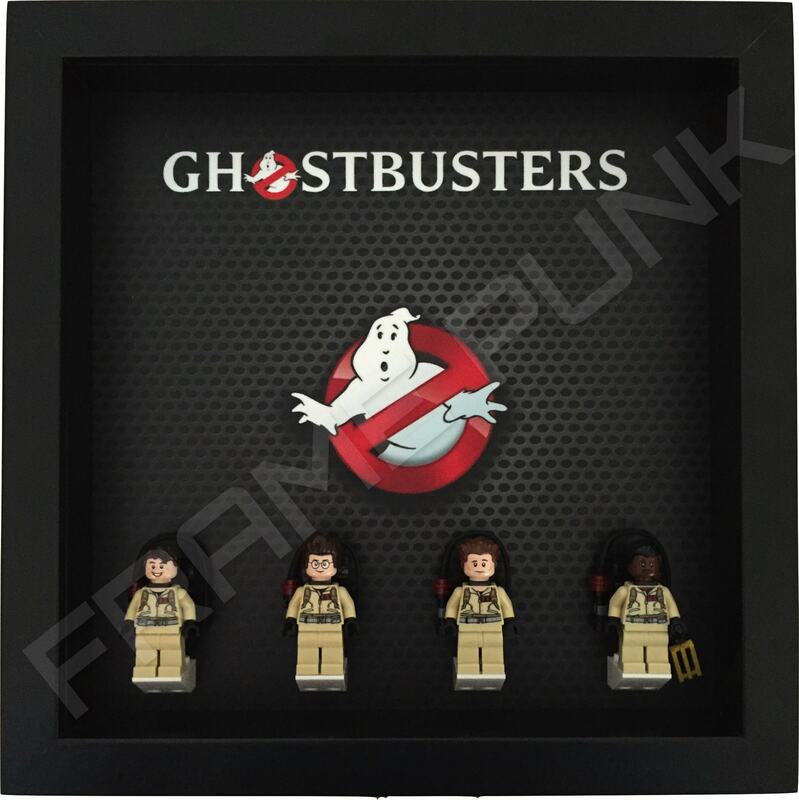 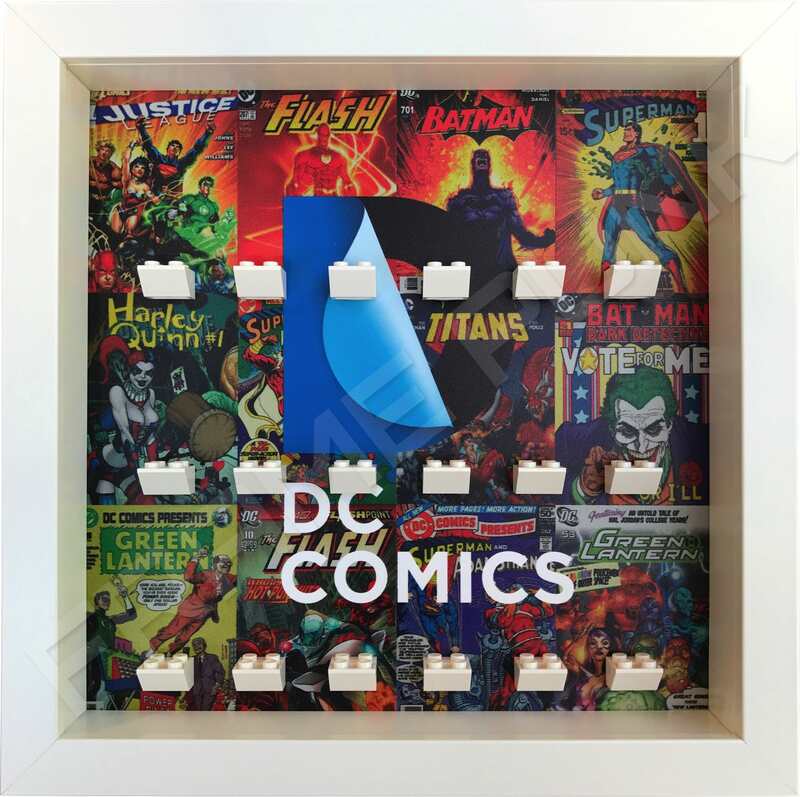 • Official White LEGO mounting bricks (2×3 so you can fit the minifigures with their Proton packs on). 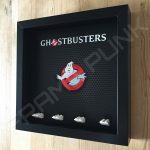 Got a menacing green gooey ghost that needs taking care of? 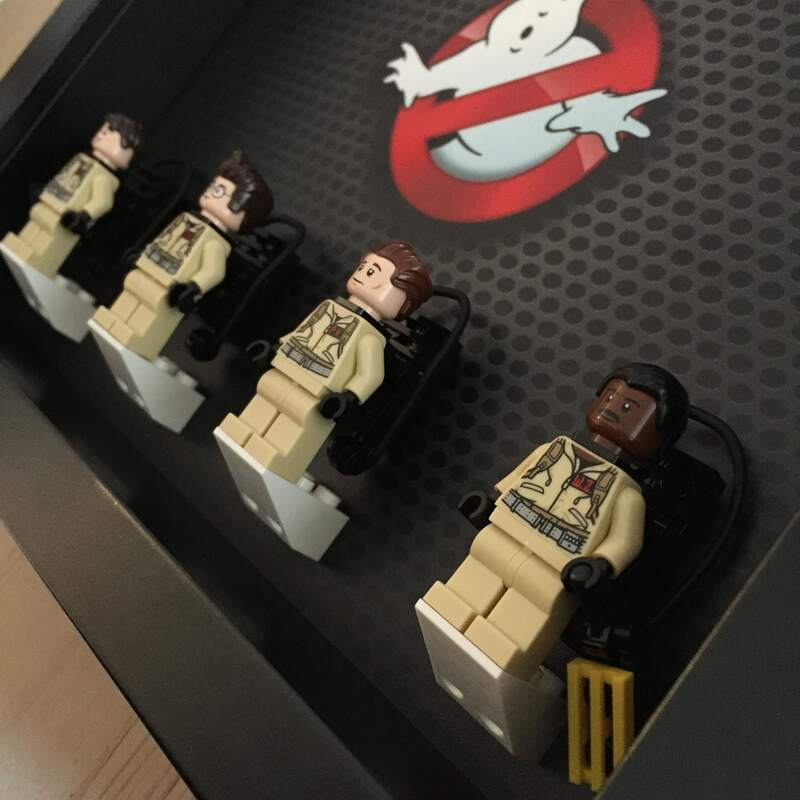 “Who you gonna call…?” Well The Ghostbusters of course! 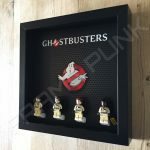 Let the team of Ray, Egon, Peter and Winston stand ready to take on the ghosties in our Ghostbusters Lego display frame. 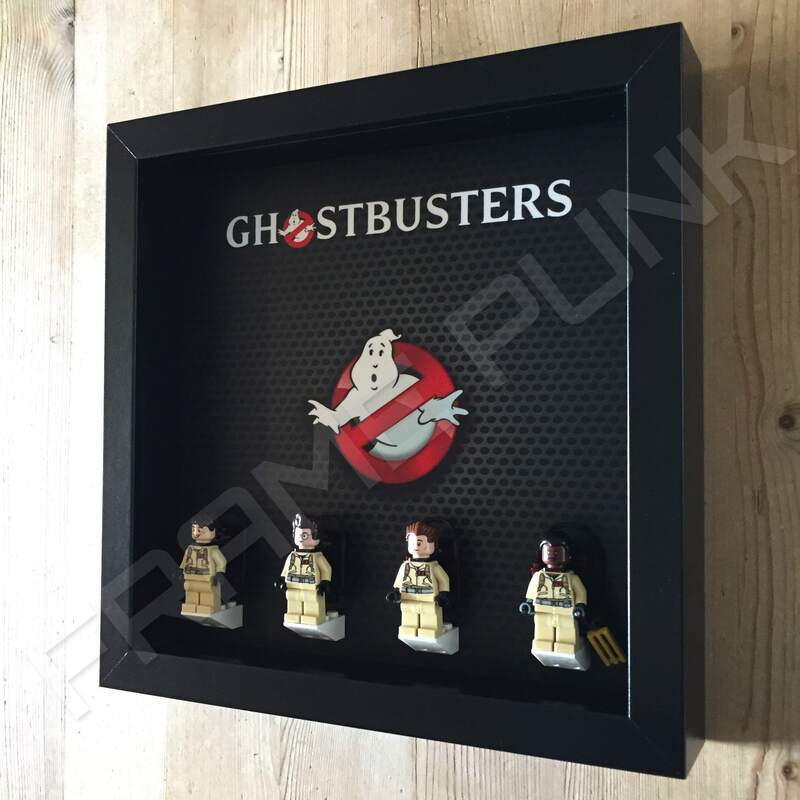 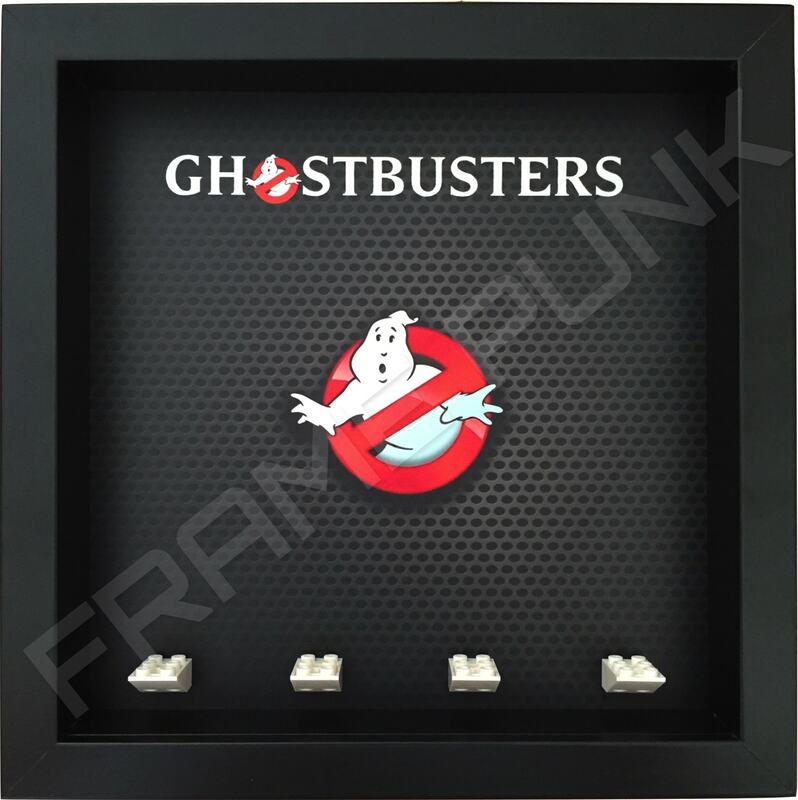 The background itself is mottled black with the famous Ghostbusters logo in full colour in the centre. The Ghostbusters title logo runs across the top leaving the bottom free for a line of 4 bricks where the team stand. We even use 2×3 bricks so that your minifigs can wear their Proton packs!